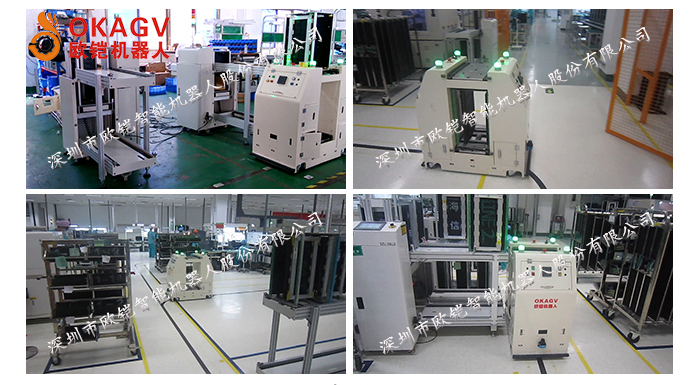 This is an AGV special designed for SMT magazine rack transfer, to transport the PCB rack up to the machine, realize the empty PCB rack retrieve or full material transfer. Helpful in the situations where the space is small, short distance between stations, regular AGV can not easily turn and match the machines. The AGV can move forward, backward, left and right turning, fork way choosing, and side way moving, when connecting with machines, it orientates another time when connecting to equipment, guaranteed 5mm accuracy.